This 1 bedroom apartment with swimming pool is located in San Gabriel and sleeps 2 people. It has WiFi. "Horizonte 01", 2-room apartment 43 m2 on 3rd floor. Playa Levante: Apartment block "Horizonte 01"
The agent describes this apartment as an ideal holiday rental for a cheap holiday. It is also suitable for families. It is also good value for money. The apartment has a swimming pool and is located in San Gabriel. The nearest airport is 90km away. 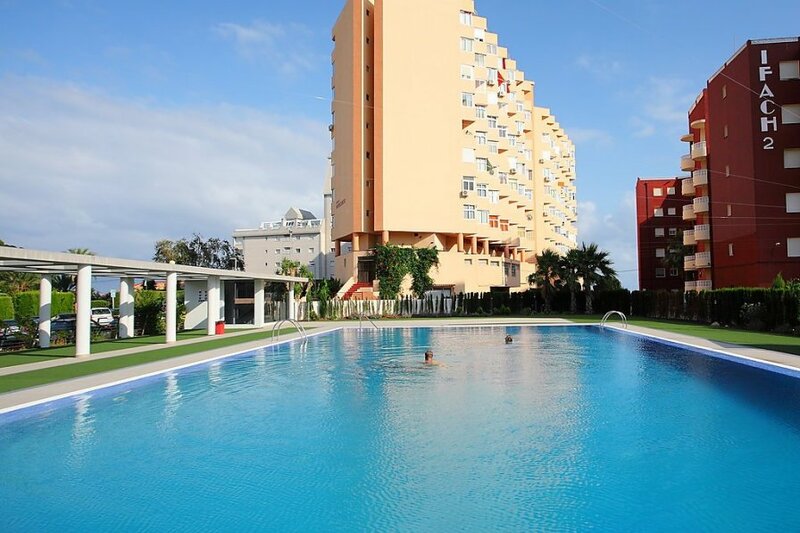 It is set in a very convenient location, just 0 metres away from a beach and only 2.5km away from the city center.